The guide will also feature new intrinsically safe models, such as FDT/DTM amplifiers that can be programmed with PACTware. The Interface and Intrinsic Safety Quick Reference Guide offers an efficient and easy way for users to select the correct amplifier for specific applications, as well as showcase unique, out-of-the-panel solutions for intrinsic safety. The guide also covers a description of Turck’s high-density excom Intrinsically Safe I/O system, plus the FOUNDATION fieldbus Diagnostic Power Conditioner (DPC) system featuring a new single channel redundant backplane. NAMUR sensors, level probes, pressure sensors, cordsets and junction boxes are also highlighted in the new guide, delivering a one-stop-shop for interface and intrinsic safety solutions. 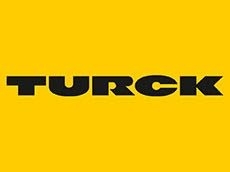 Turck is represented in Australia by Turck Australia .